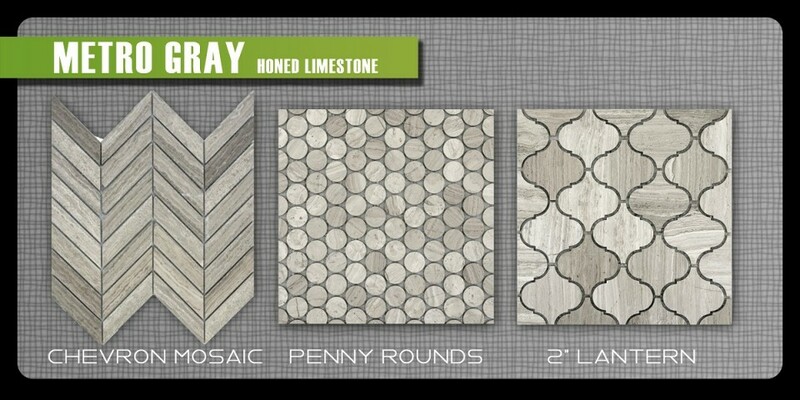 New arrivals for Tile, Stone, Hardwood, vinyl, laminate, carpet and new designs. your source for the latest in design, materials and home fashions. Othello Bedrosians wood plank tile is transitional yet rustic with natural wood grain texture in 6 contemporary colors from warm to cool. 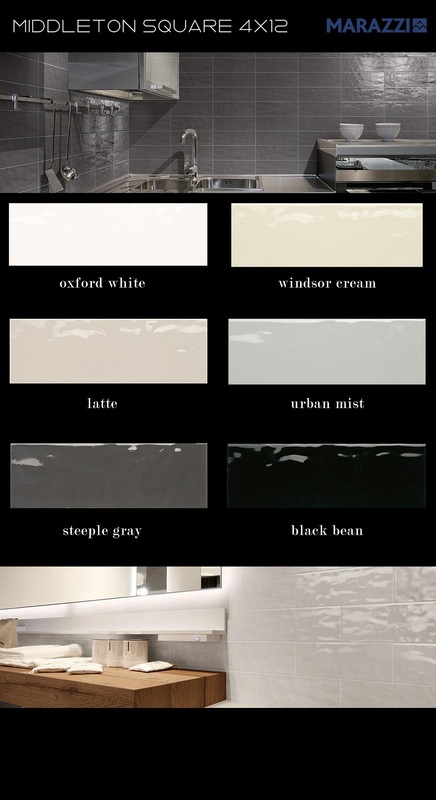 This versatile product is a glazed porcelain with a rectified edge. Made in Italy, this material is suitable for residential walls and floors, commercial walls & light commercial floors, exterior applications, showers, and tub surrounds. Available in a 8″x48″. 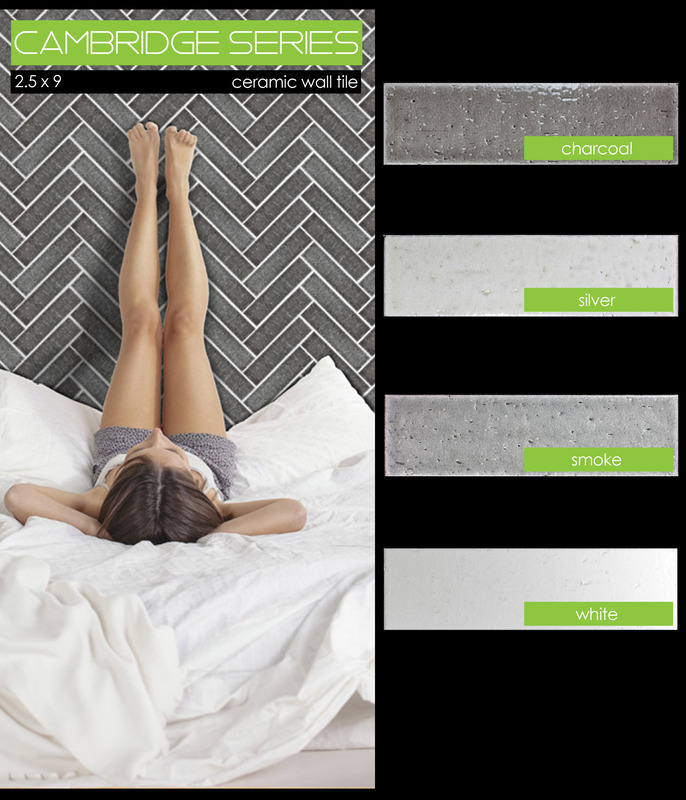 Velocity by Emser Tile plays off the ongoing trend of the chevron pattern. 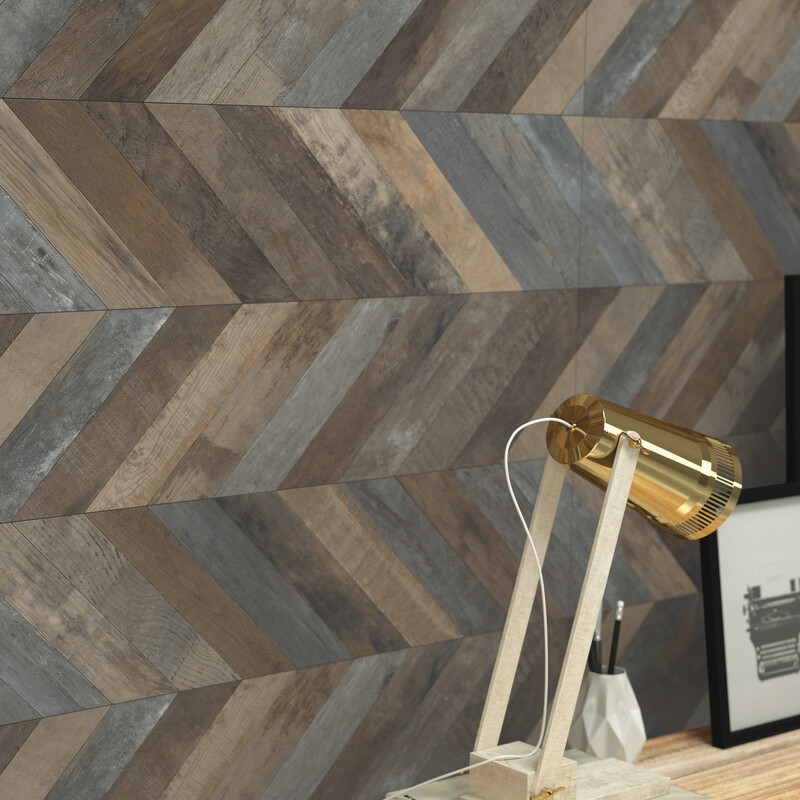 Designed in a 17″x35″ panel, this scored decorative tile gives the illusion of individual angular cut pieces without the excess sweat and tears of laying piece by piece. Angora Kalahari is a large format 12×24 porcelain tile that molds seamlessly with many styles of contemporary and traditional nature. With characteristics of limestone Angora Kalahari showcases light veining and subtle movement to make this tile a preferred choice for architects and interior designers. 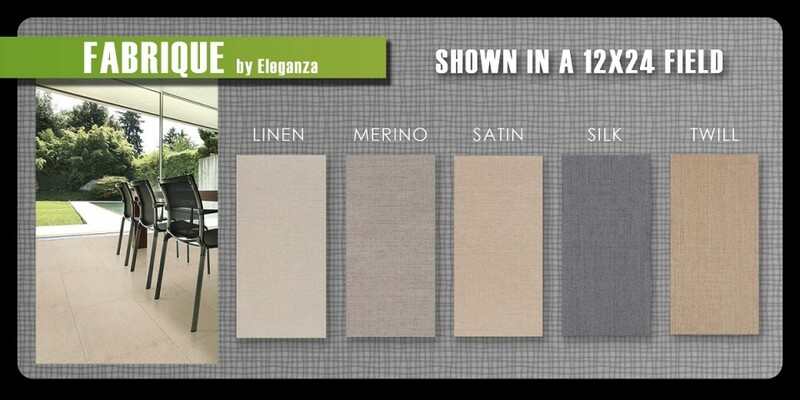 Available in five beautiful colors from beige to brown, and light grey to taupe. Get an amazing look for an unbelievable price. 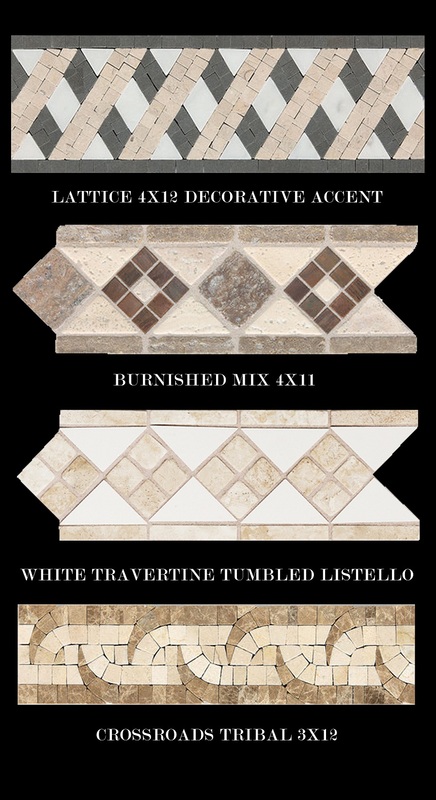 The Cambridge Series sets a new standard for subway tile. 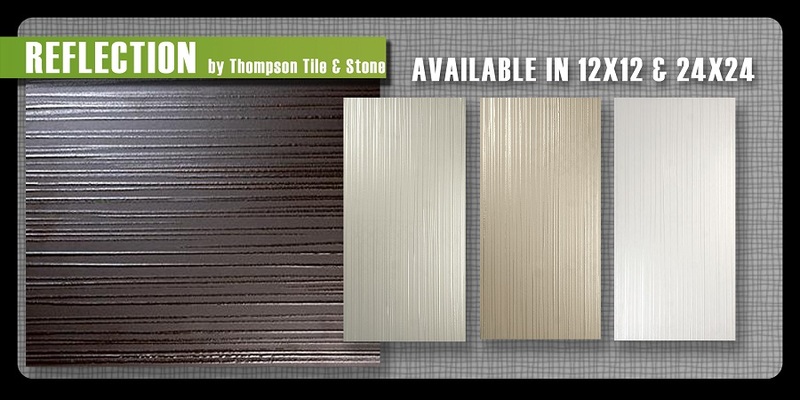 Offered in four dynamic colors, this tile yields its style to the antique craftsmanship that you just don’t see anymore. Beautiful and timeless with a contemporary edge ensures your project will stay in style for years to come. 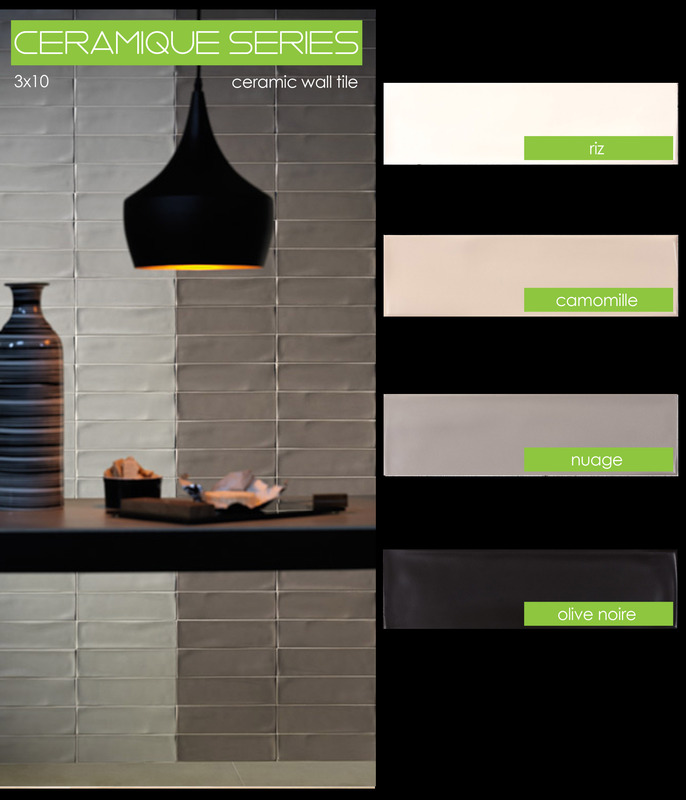 Ceramique by Portobello is an urban inspired, old world ceramic wall tile with a satin matte finish and undulated surface. 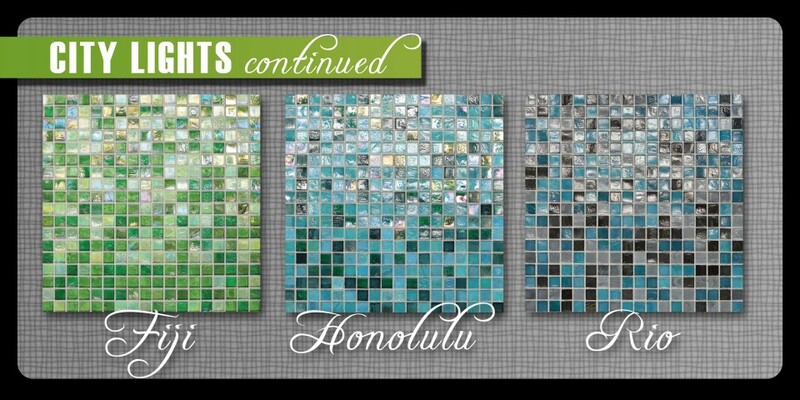 When grouted, this series takes on a unique imperfect form that is not only visually stunning but truly art for your house. 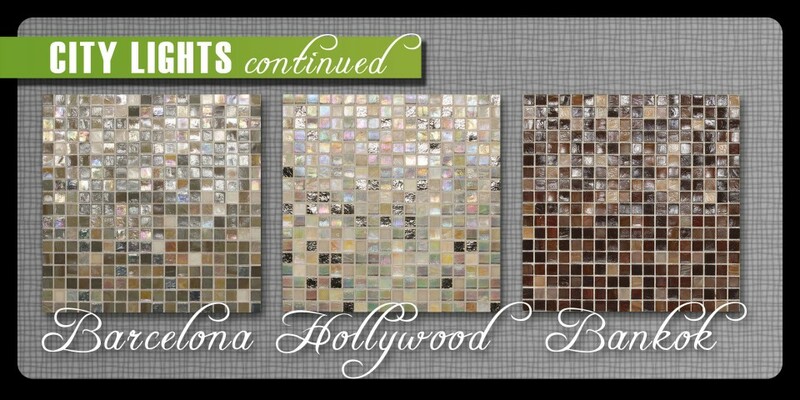 Perfect for a feature wall, shower walls or backsplash. 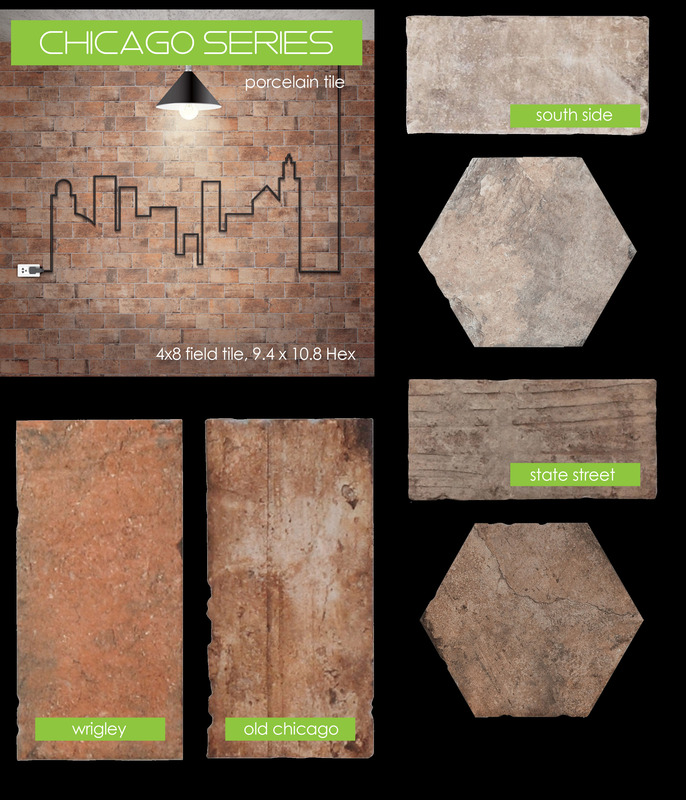 Serenissima Chicago replicates old fashioned brick pavers that may have been made a centruy ago. Rich tones and five colors designed for indoors or out blend rich urban characteristics and original perspective. 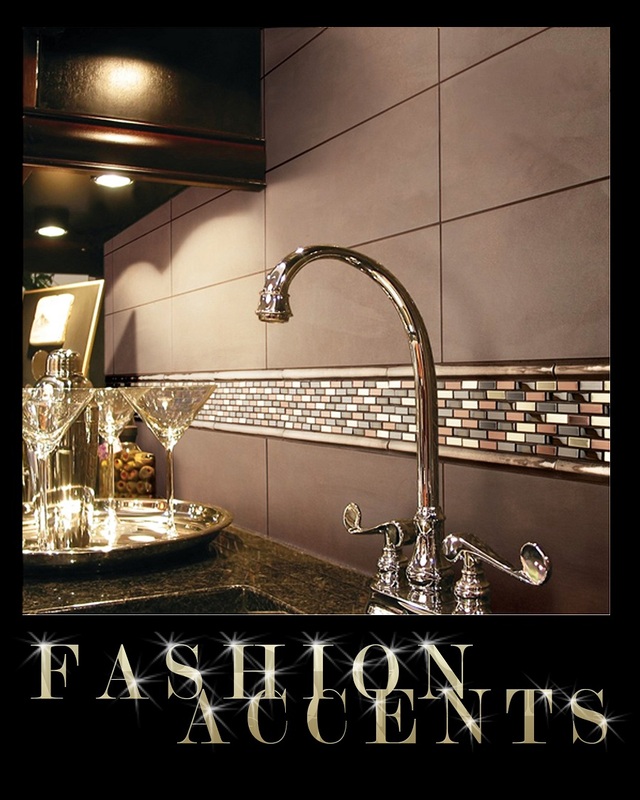 Artwork is a dramatic 12×35 wall tile fashionably designed to catch your eye and create a massive focal point. 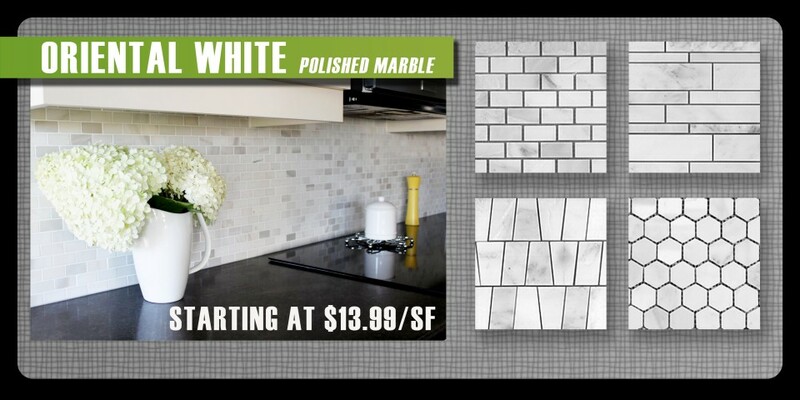 Available in three beautiful colors of white, silver, black and a solid undulated white field tile. Artwork is suitable for indoor use on residential or commercial walls. Artwork is a product of Emser Tile. See more details and specs by clicking here. 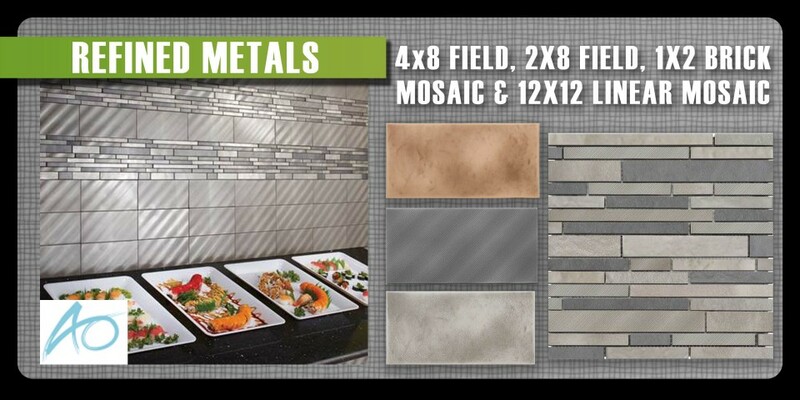 Emser tile releases new stainless steel mosaics with gleam! 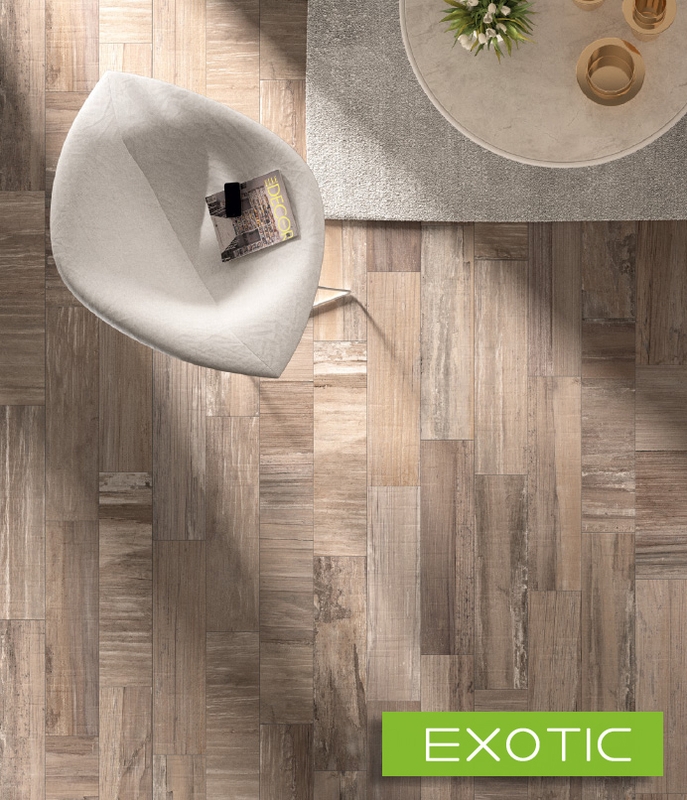 Brought to you by S’tile, Bali 12×24 porcelain tile brings exotic new visuals to your commercial or residential space. Elegant and contemporary, each color blend offers a wide range of hues that blend perfectly with your surroundings and furnishings. It is unique in the way that it has cross-directional veining which mirrors the look of the banana tree. 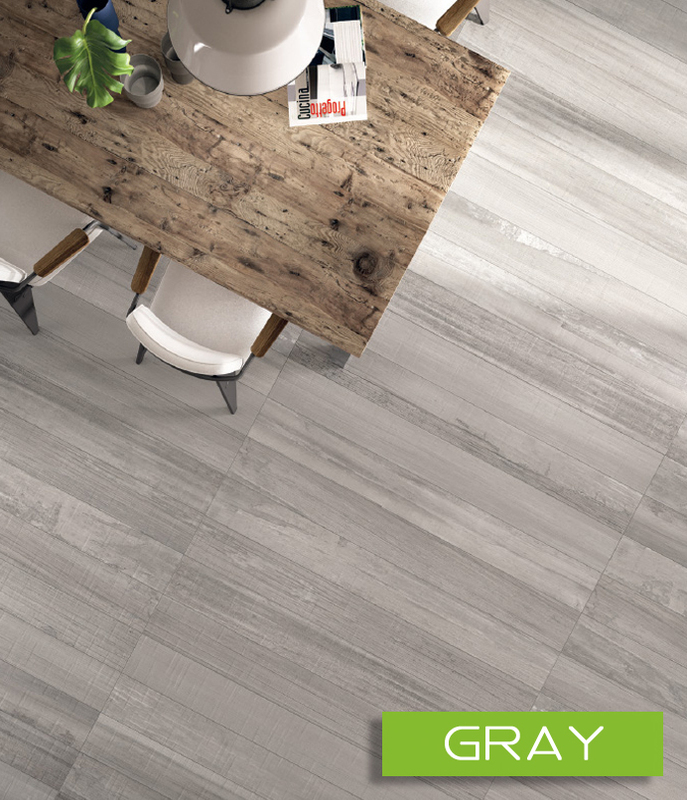 Offered in four colors, exotic, camou, natural & gray, you will think you’re on vacation each time you look at this extraordinary tile. these modern, hand-formed ceramics can give any room striking sophistication. 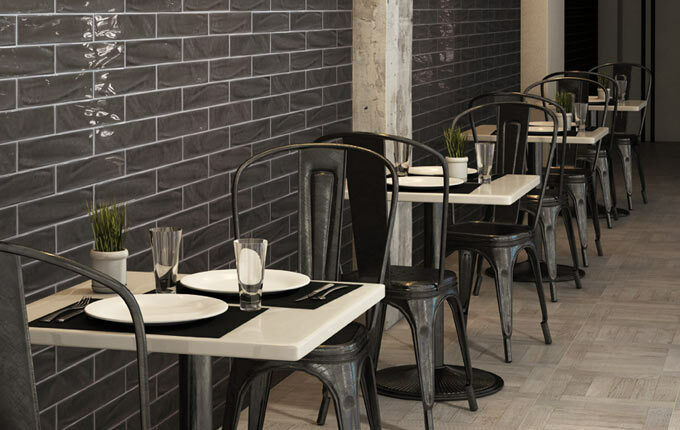 Sophisticated and modern, these striking hand-molded ceramic tiles come in an elegant 4×12 size and are the perfect compliment to any residential or commercial space. Straight-line and staggered patterns can be integrated in either horizontal or vertical directions. Want more pattern? 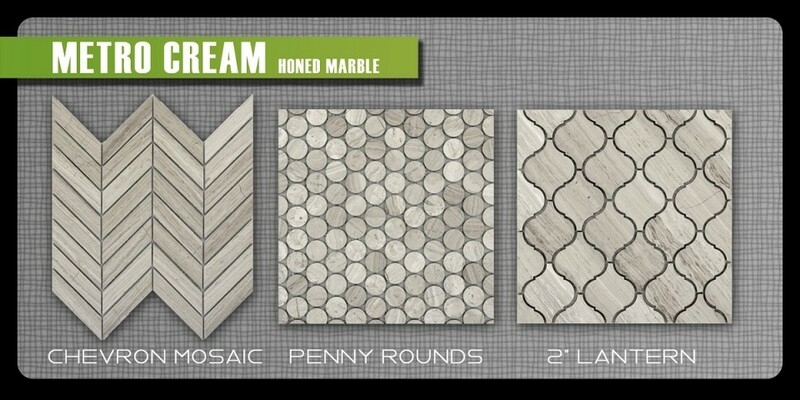 Try a herringbone or basket weave. 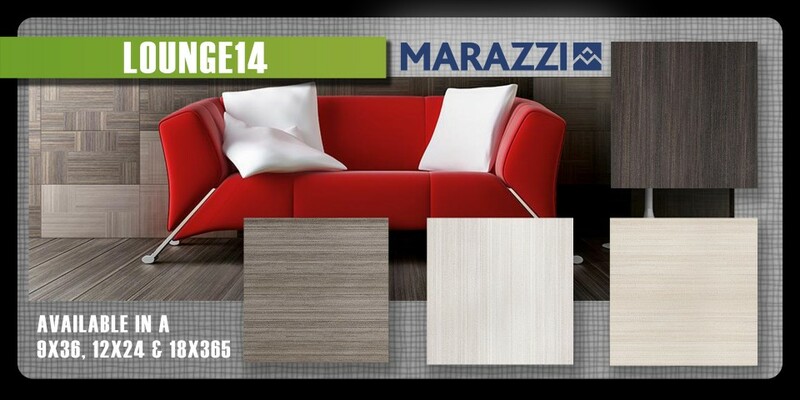 Offered in four designer colors, Marazzi Middleton Square ceramic tile will attract and amaze. Beautiful warm grey tones in a soft movement with light veining. 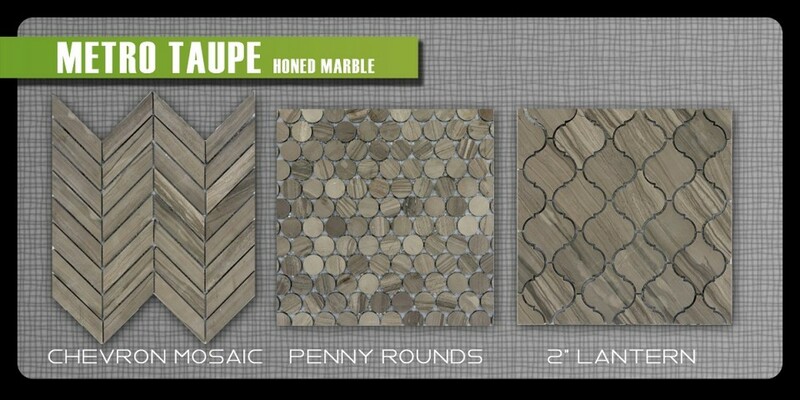 These natural marble and limestone mosaics tie elegantly into all different styles. Expect moderate to slight color variation from piece to piece all available in a silky honed finish. 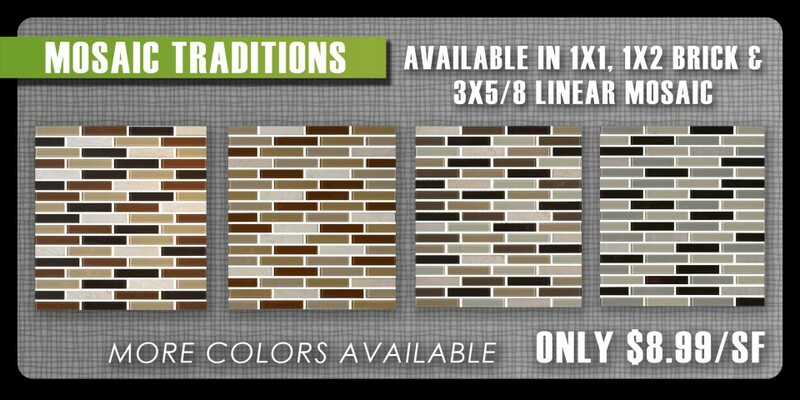 Great addition for back-splashes, showers & bathtub surrounds, accent strips, feature walls and much more! Find more shapes and sizes available by going to Emser.com. 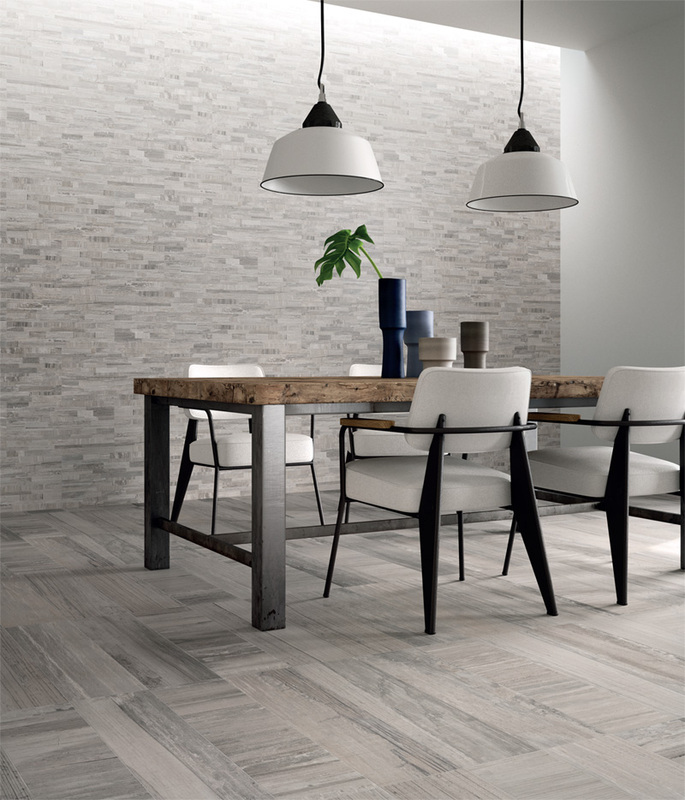 Detailed with light texture and color variation, Country by Emser Tile makes for a breathtaking floor. 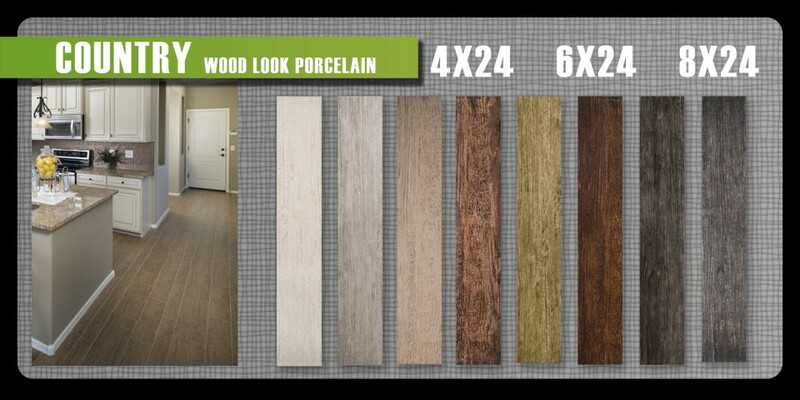 Having eight colors to choose from means this porcelain wood look will coexist with nearly any style and has the ability to blend with both modern and traditional surroundings. It’s available in three sizes giving you ultimate flexibility in pattern choices and is strong enough for commercial and residential atmospheres. 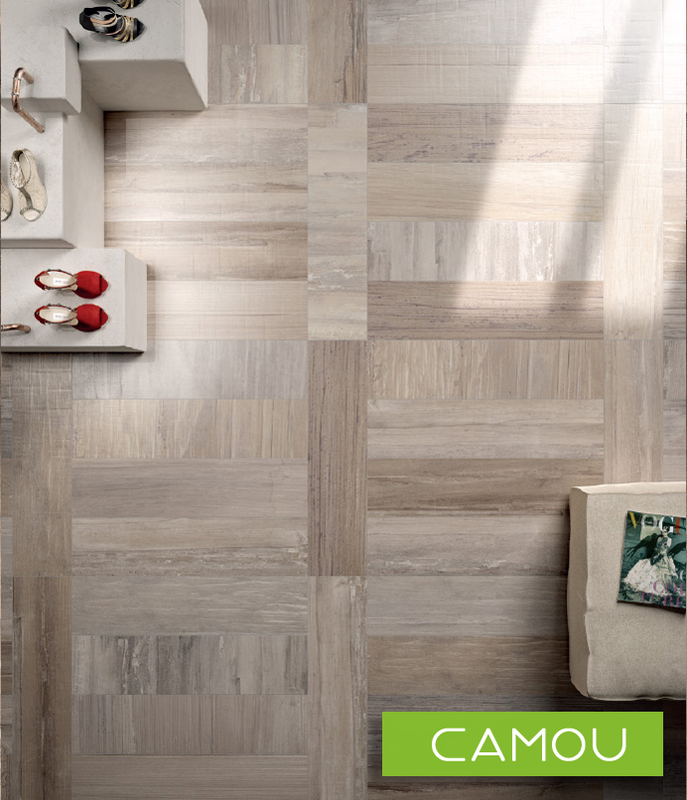 Traditional and timeless are words that inspires Emser Tile to design this beautiful wood looking porcelain. 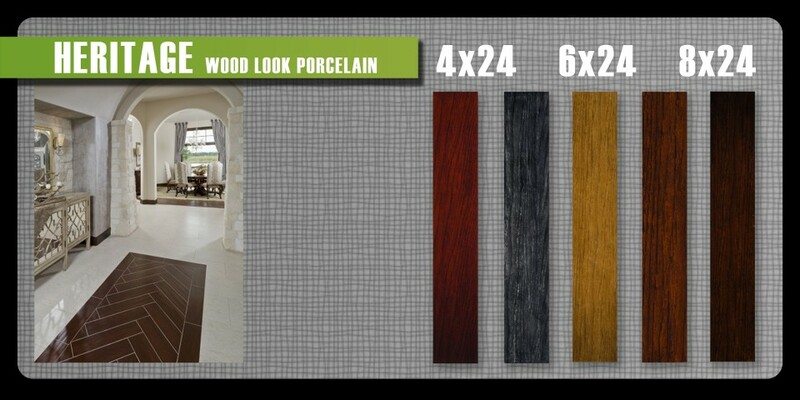 Heritage brings beautiful rich colors to the wood planking market offering five smooth vibrant colors. Available in a 4×24, 6×24, and 8×24, this porcelain hand scraped masterpiece is one you will want to treasure for generations. 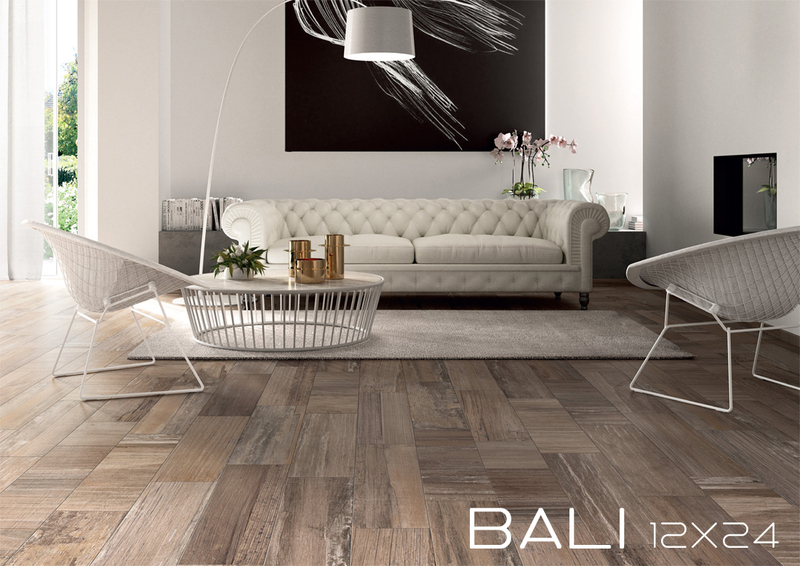 Beautiful wood-looking porcelain tile inspired by the heritage and old world styling in Europe. Designed in four attractive colors, Grove, by Emser, has a rustic antiqued flair with natural variation throughout. 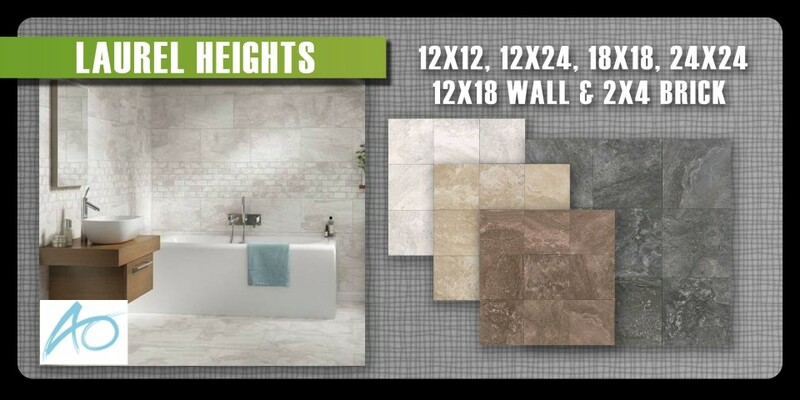 Valued at $3.99/sf, this look is not only luxurious but is completely affordable! Inspired by the classic look of French motifs, Tuileries reinvents a dramatic array of sizes and colors to beautifully keep the tradition of this classic style to perfectly suit today’s style. Tuileris, by Walker Zanger, has a variety of sizes including a 2 1/2 x 7 subway, 5×5 field, 2×3 brick mosaic and this 5×6 arabesque field. With collection of 10 coordinating colors to choose from, you can let your imagination go wild. Combine colors for a unique and visually interesting pattern or stick to one. No matter what, you’ll definitely be amazed. 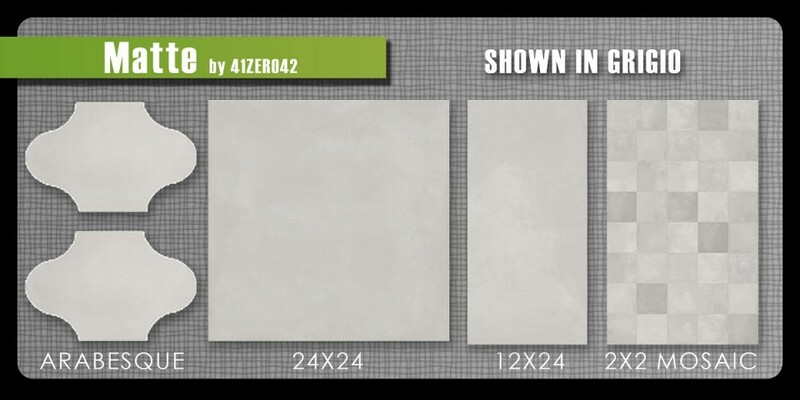 Offered in a variety of sizes, Mate by 41zero42 creates a modern, industrial and sophisticated look that resembles concrete and is offered in two colors, Terra Grigio & Terra Olive. 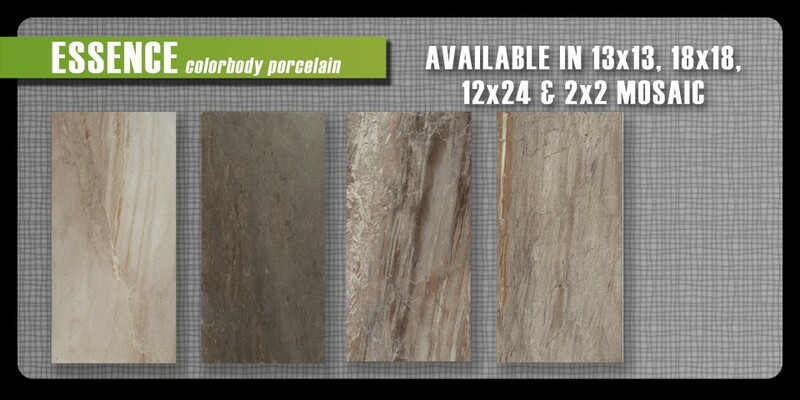 This is through body porcelain and is approved for both residential and commercial spaces. The color varies from piece to piece which makes it hard to appreciate its beauty with a small sample. 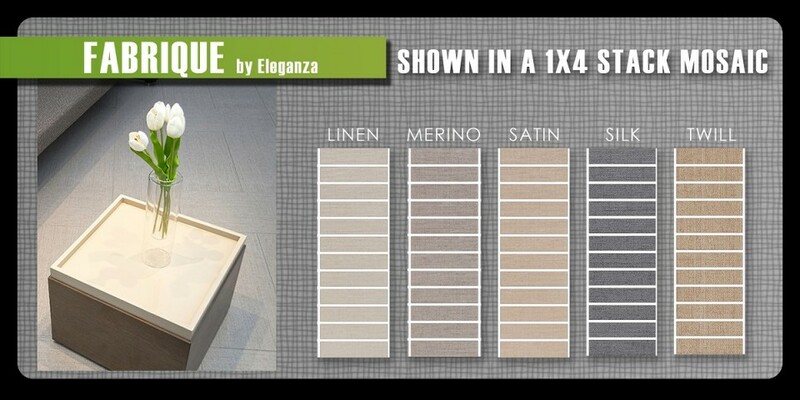 Fabrique, by Eleganza, embraces beautiful thick color body porcelain that gives the illusion of real fabric. 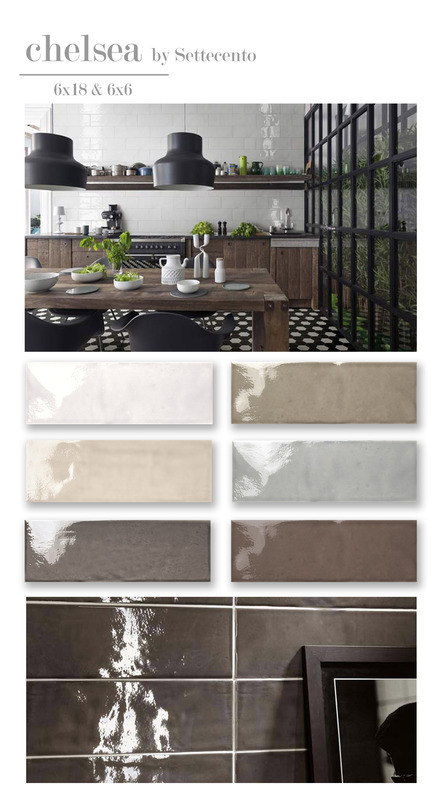 Slightly polished, this rectified porcelain tile is perfect for modern and tranquil spaces that offers plenty of color choices and soft visuals that add a touch of femininity. Love the look of handmade ceramics? We do too but often are constricted with certain budgets. This new line of ceramics by Settecento combines hand crafted elements, high quality ceramic body and a beautiful coordinating color pallet. 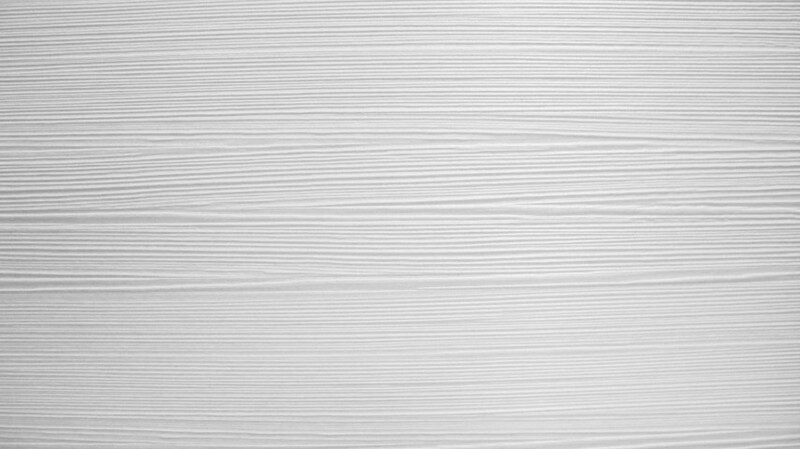 Chelsea is designed for wall applications and offers two sizes. A large format 6×18 and a smaller 6×6 field tile. 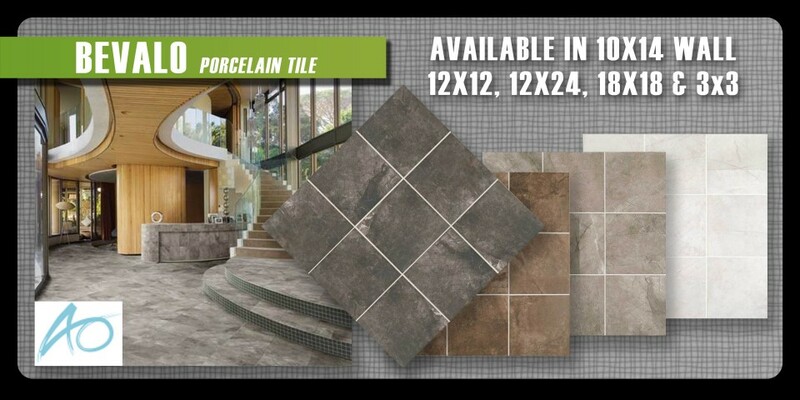 This exciting new tile gives you the timeless elegance of a hand made piece without compromising your budget. Starting at $12.99/sf. You may also like this similar wall tile. New Yorker brings the same styling as Chelsea (above) but offers a much smaller size to play with. 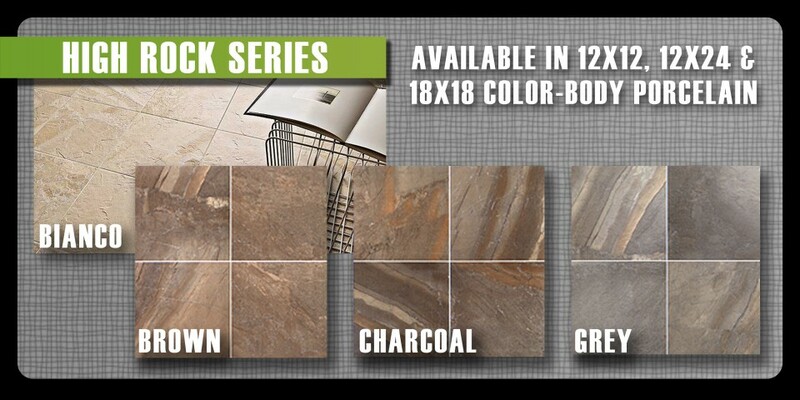 New Yorker 3×12 field tile offers the same hand made design with two finish options of matte and glossy. 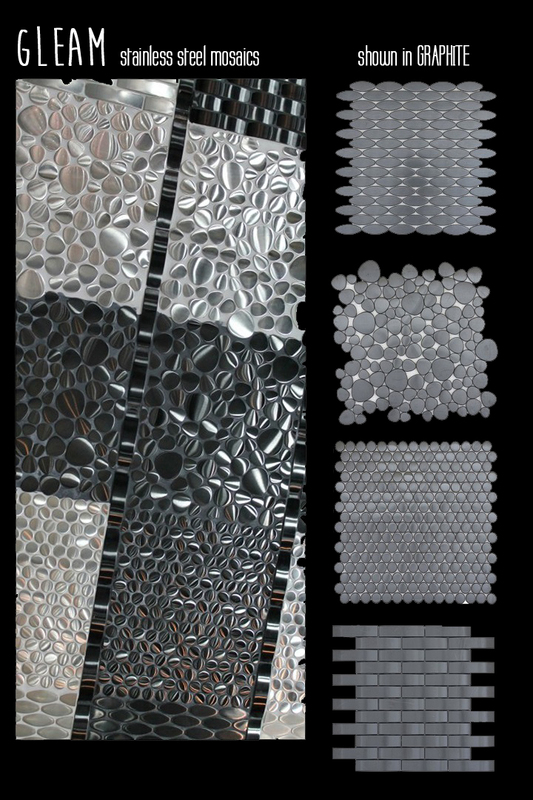 Useful for bathroom shower or tub surrounds, kitchen or bar backsplashes or any feature wall. 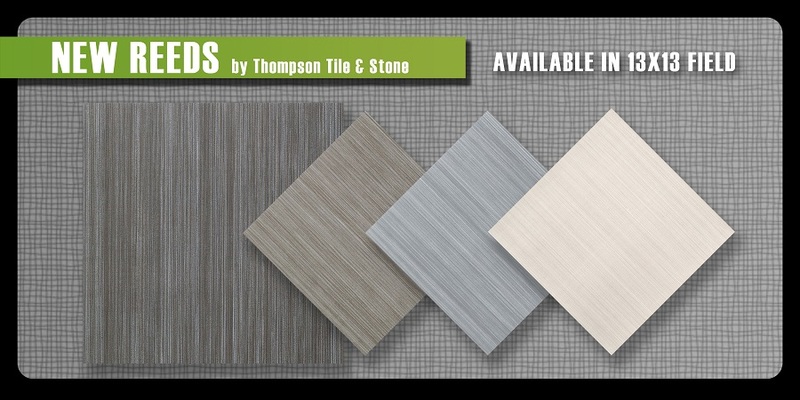 New Reeds by Thompson Tile & Stone, a division of Olympia Tile, is a modern tile that combines the soothing lines of natural grasses and linen to an affordable ceramic surface. 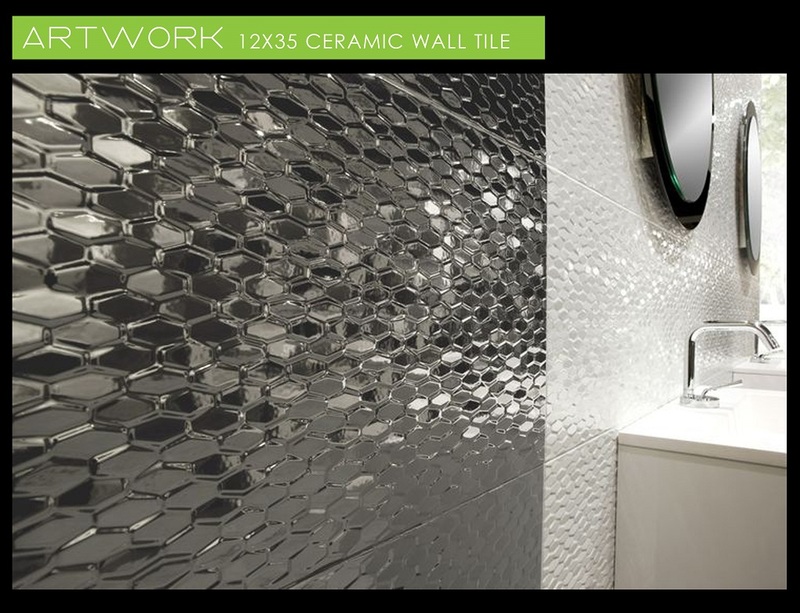 Stocked in a 13×13 this beautiful, contemporary tile also comes in other sizes available through our special order program. Banff, also manufactured by Olympia Tile, is an affordable contemporary, concrete-looking ceramic tile. 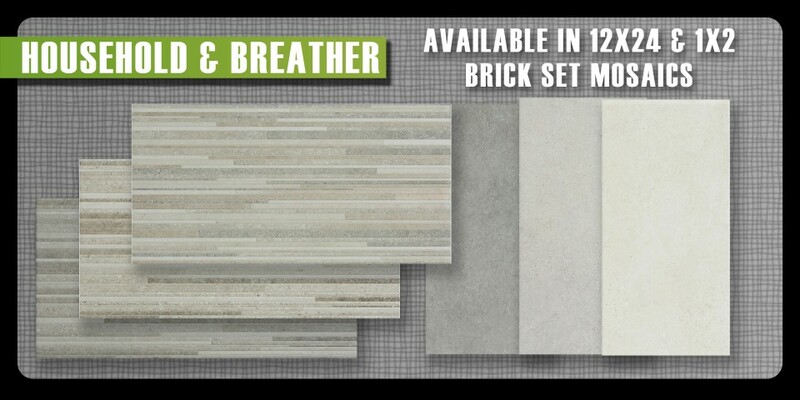 Soft movement with a variety of colors, this tile will update any space! Stocked in a 12×12. One of our favorites! 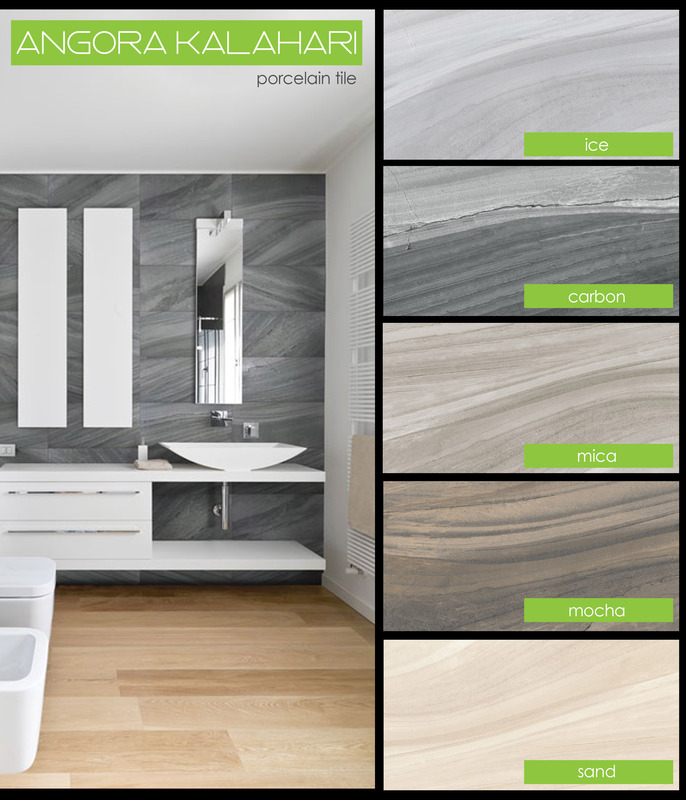 Reflection is a three-dimensional, semi-polished, linear looking porcelain tile. Its possibilities are endless and can be used on either floors or walls. 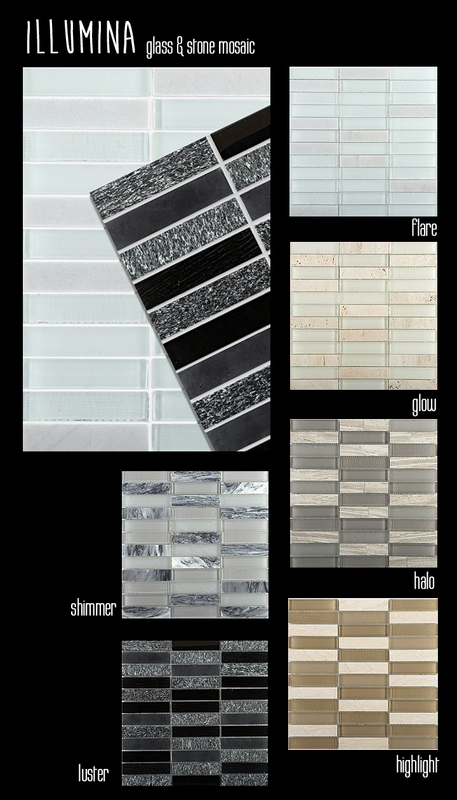 Its soft and subtle color pallet combined with sparkling lines make for a dramatic look on any surface. Available in a 12×12 and 24×24 size. 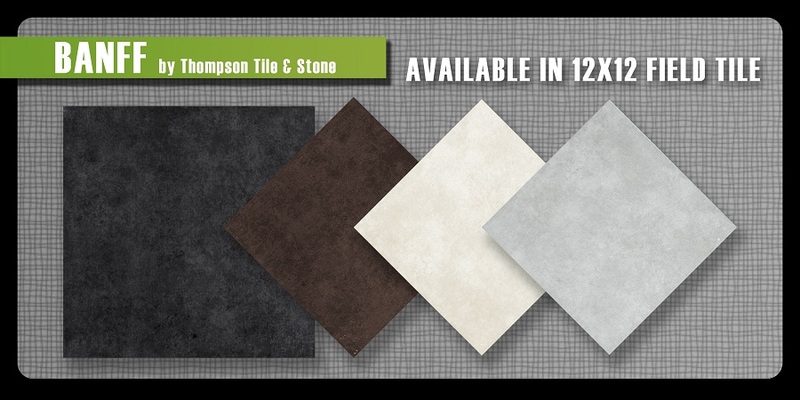 Designed to take on the characteristics of limestone, this floor tile & matching wall tile bring color variation and simplicity to your home or office. Sacramento is a beautiful addition to any space! Affordable, timeless and simple. dreaming of a white kitchen? 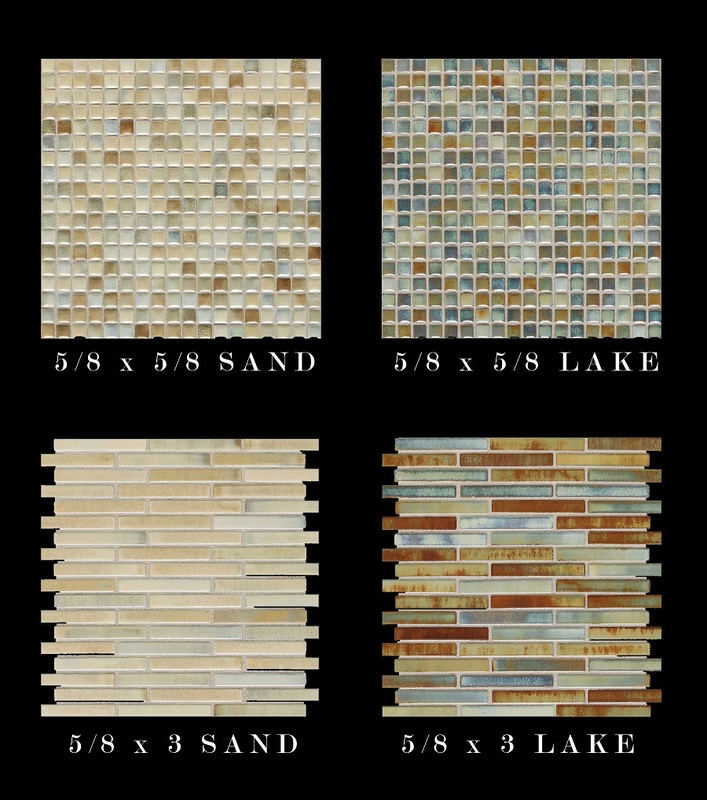 Classic marble mosaics by Thompson Tile & Stone give you a timeless look that instantly updates your kitchen or bathroom. Random linear patterns, simple brick patterns and even hexagon or pyramid offset. 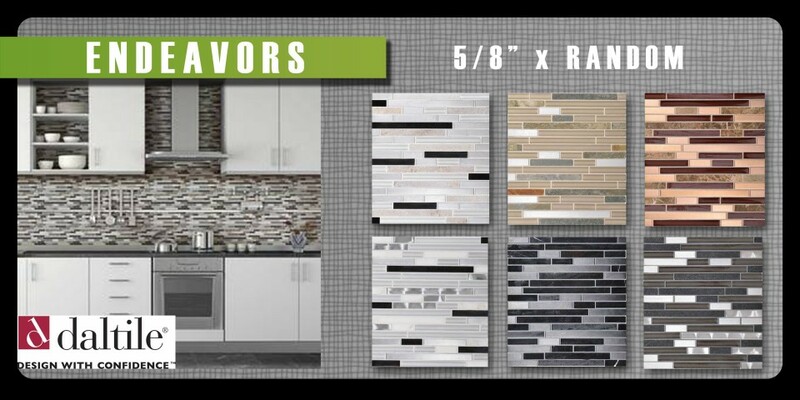 Pair with white or grey cabinets, dark charcoal countertops and bright accent colors! Starting at $13.99/SF. 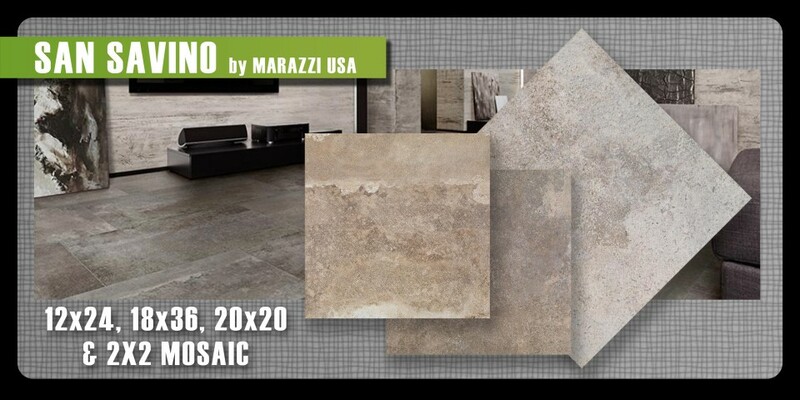 This beautiful glazed porcelain tile by Marazzi USA combines rustic texture with a contemporary color and finish. Inspired by the look of acid washed concrete floors, your new space can easily transform itself into a sophisticated urban oasis. 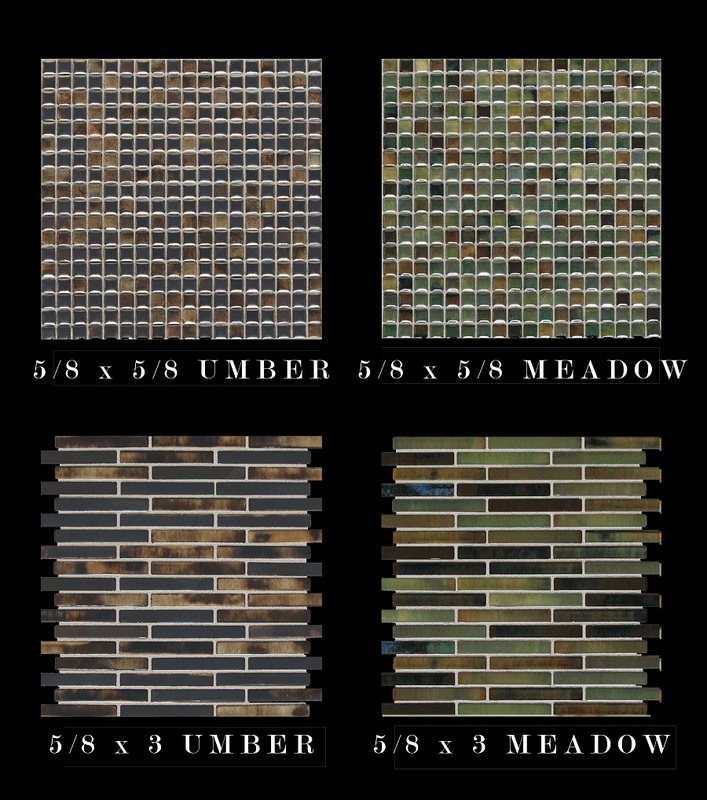 With three color choices of browns and greys and field tile sizes, mosaics & trim, the possibilities are endless. 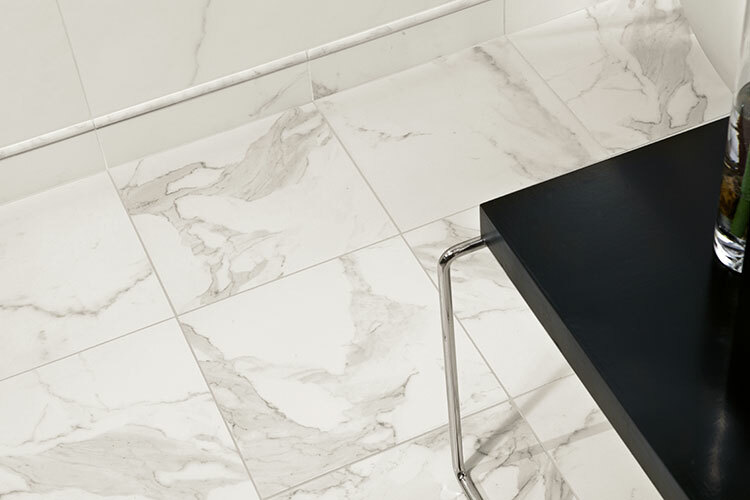 Modern linear strokes and satin glossy shine make this porcelain tile an eye catcher. 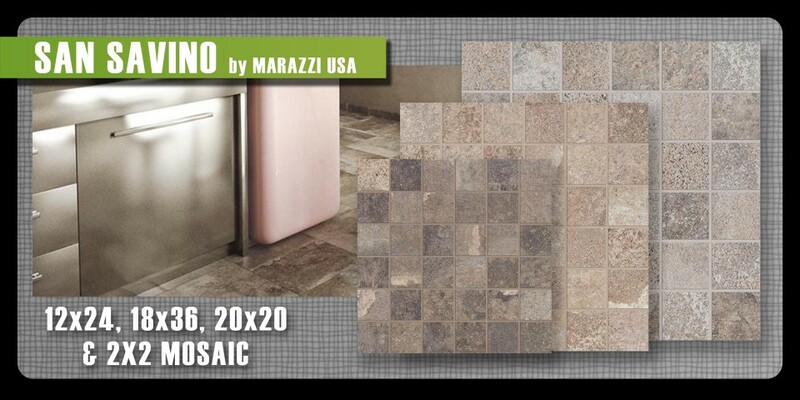 Brought to you by Marazzi, this series is available in three field tile sizes and three accent sizes. 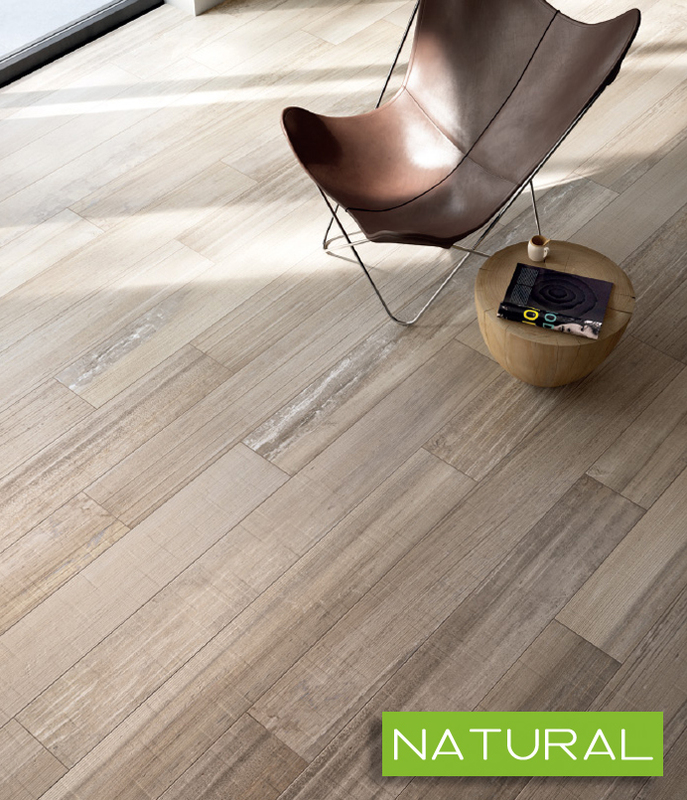 Bevalo by American Olean embraces the look of natural stone while keeping the low maintenance profile of porcelain tile. It has a variety of sizes and colors to blend with any style or décor and comes with a price that is absolutely affordable. Ask one of our sales associates for details! 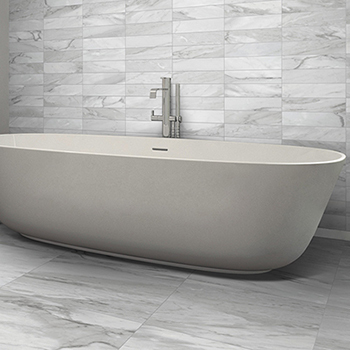 Essence by Cronin combines the look of natural stone into an affordable color body porcelain tile. 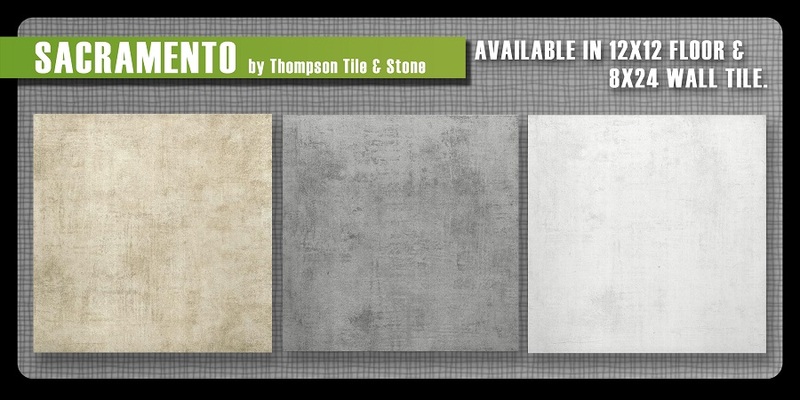 Available in a variety of sizes, this durable tile brings the outdoors in while offering a compelling, realistic print. This non-porous material can be used on walls as well as floors and is approved for high traffic commercial areas as well as your everyday residential. Household & Breather by The Cronin Company combines cool colors into a harmonious color pallet with decorative accents. 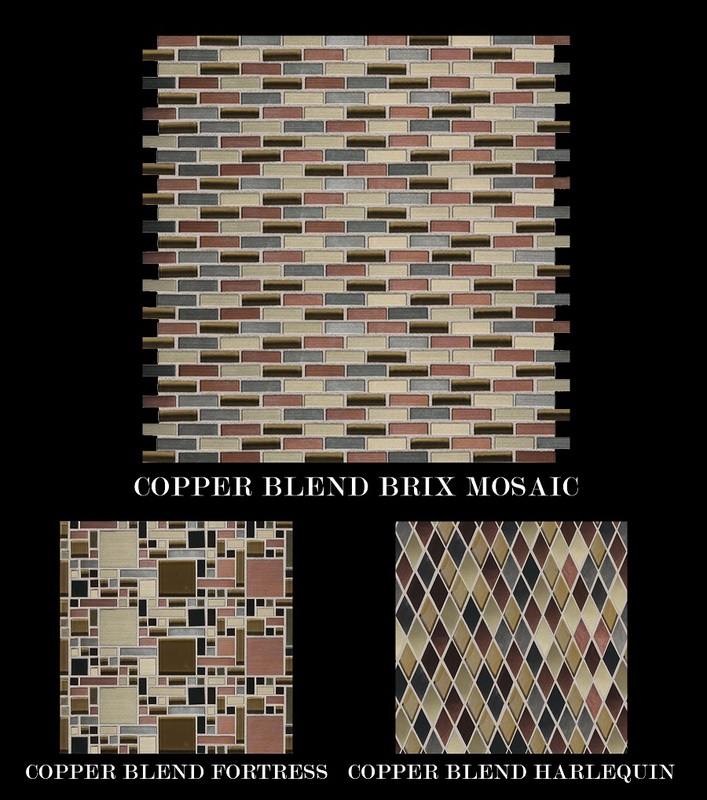 Available in a 12×24 and 1×2 brick joint mosaic, these tiles are thick, color body porcelain, durable enough for commercial spaces but suitable for most residential applications. Click here to see this installed! 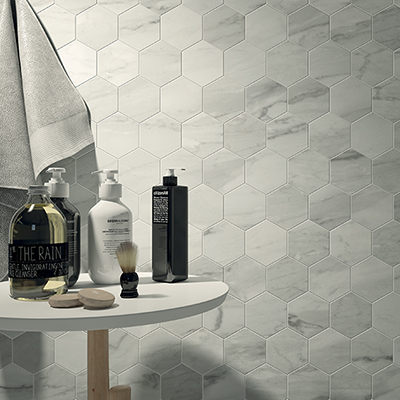 high rock by Thompson tile, looks like rock – acts like porcelain. Featured product of the week! This High Rock porcelain tile by Thompson Tile | olympiatile+stone is a great alternative to natural slate. 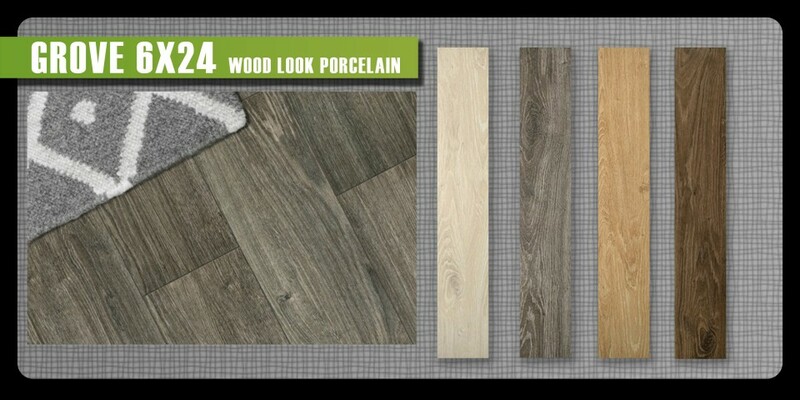 Its strong color-body structure keeps maintenance a breeze and because it’s porcelain you don’t have to worry about sealing or staining! 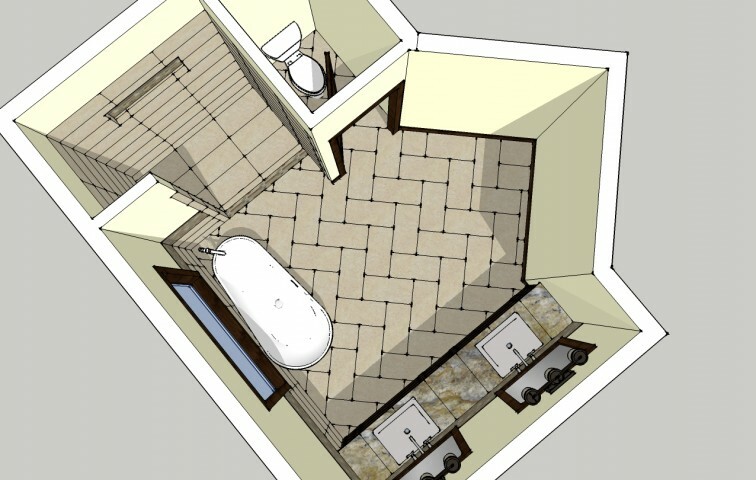 from tired to refreshed, this bathroom gets a complete makeover. This bathroom needed an update, no questions asked. Our clients wanted something fresh & modern but still kept with the traditional flair of the home. It was important to capture the spirit of the lake and keep some vintage elements so we went simple with an unexpected feature. 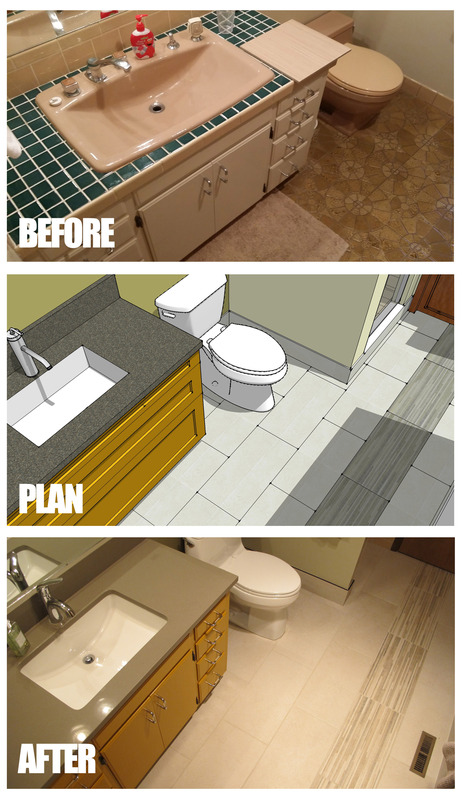 We chose a tile floor that was simple. Cronin company’s Household series in a 12×24 was the perfect choice with a warm color pallet and contemporary texture. It’s coordinating Breather deco was a fun way to add some style to the floor by running it through the middle of the bathroom like a pathway. The homeowners kept the original cabinet, resurfaced it with new glossy paint and we updated it with a new quartz countertop. 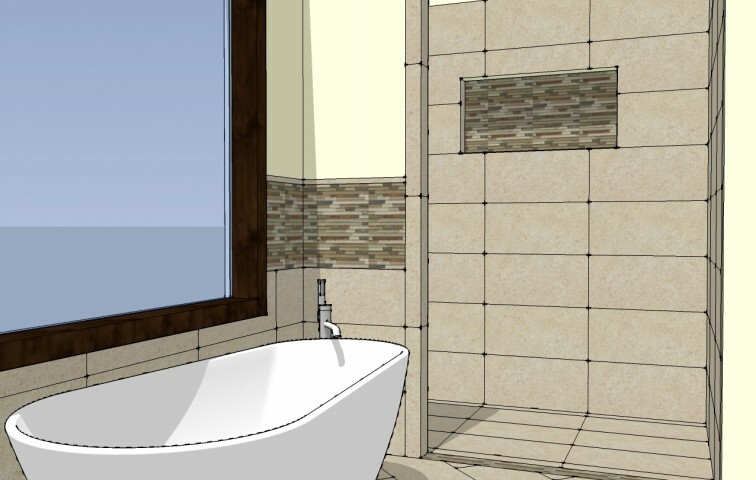 New plumbing fixtures were added and the bathroom came together seamlessly. 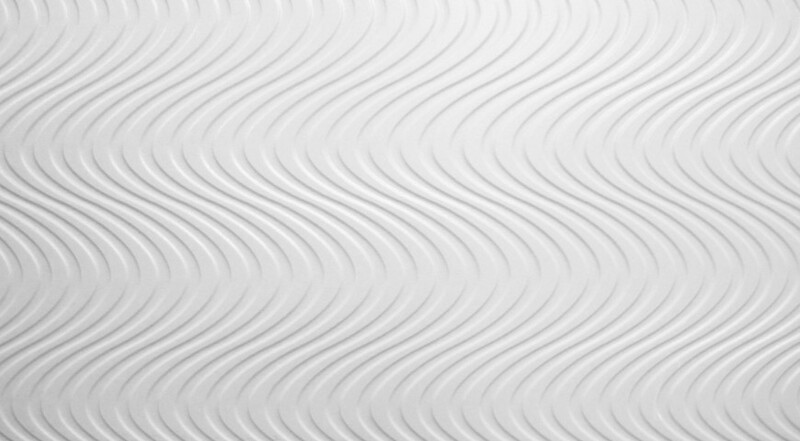 surface / wave: 12×24 by emser tile & stone. beautiful patterns with unlimited possibilities. surface / linear: 12×24 by emser tile & stone. 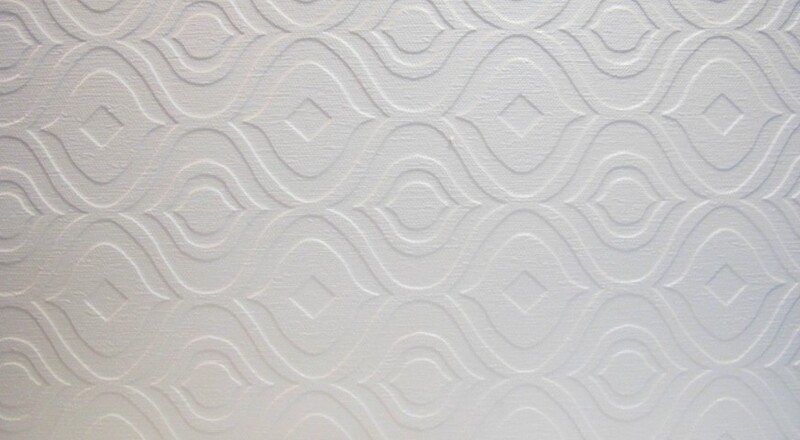 surface / arabesque: 12×24 by emser tile & stone. American olean creates a modern look while keeping costs down. 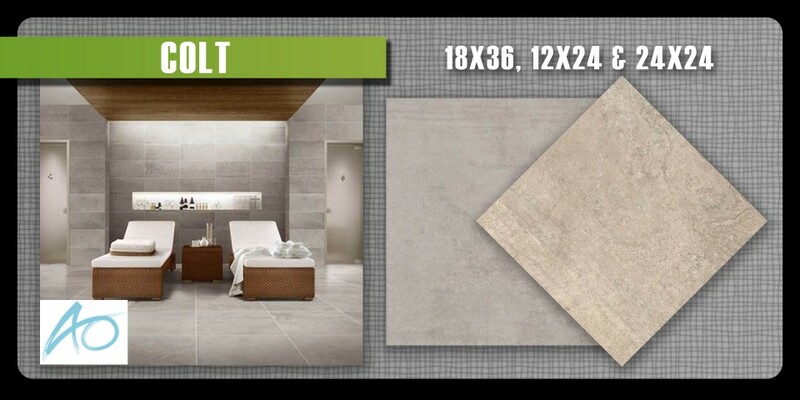 Colt by American Olean is a large format color-body porcelain tile with a concrete and rock like finish. Strong enough for commercial but stylish enough for your residential space. 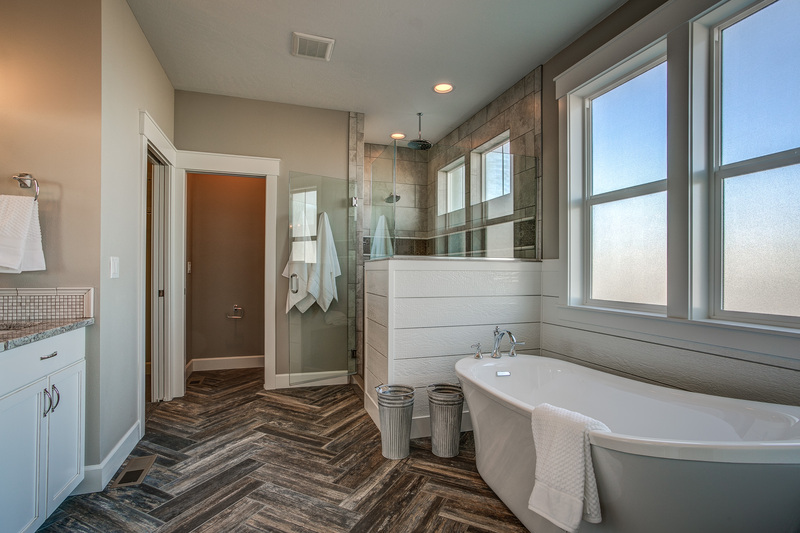 Get the clean and sophisticated look of large format tile that is so incredibly popular today. 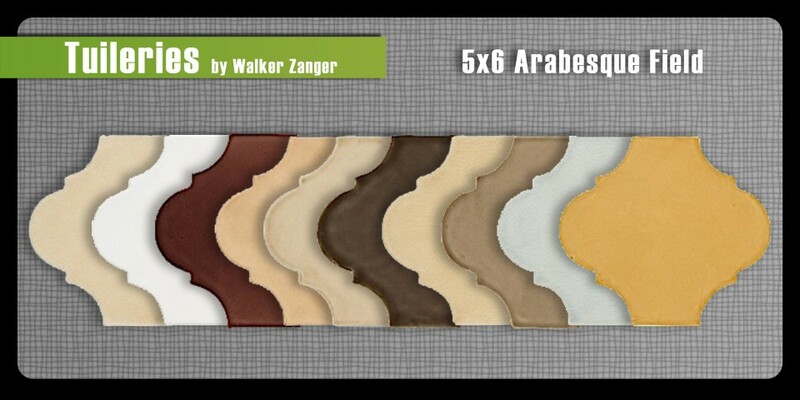 Laurel Heights brings 4 stylish colors to your space that every designer could use. Available in a wide variety of sizes, this tile is classic, timeless and beautiful. Use the 2×4 brick as an accent border or a simple backsplash, just a thought. 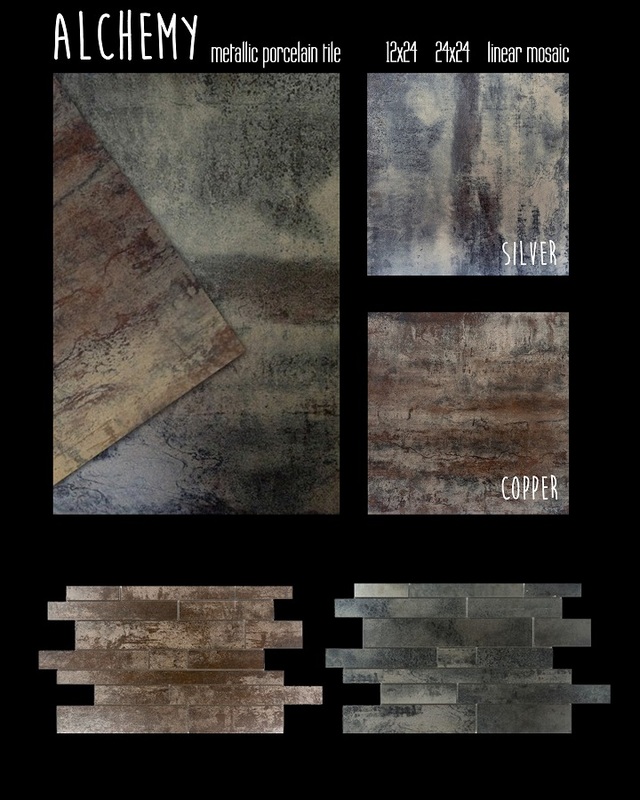 Refined metals by American Olean blends modern and vintage looks while offering three colors and four sizes. 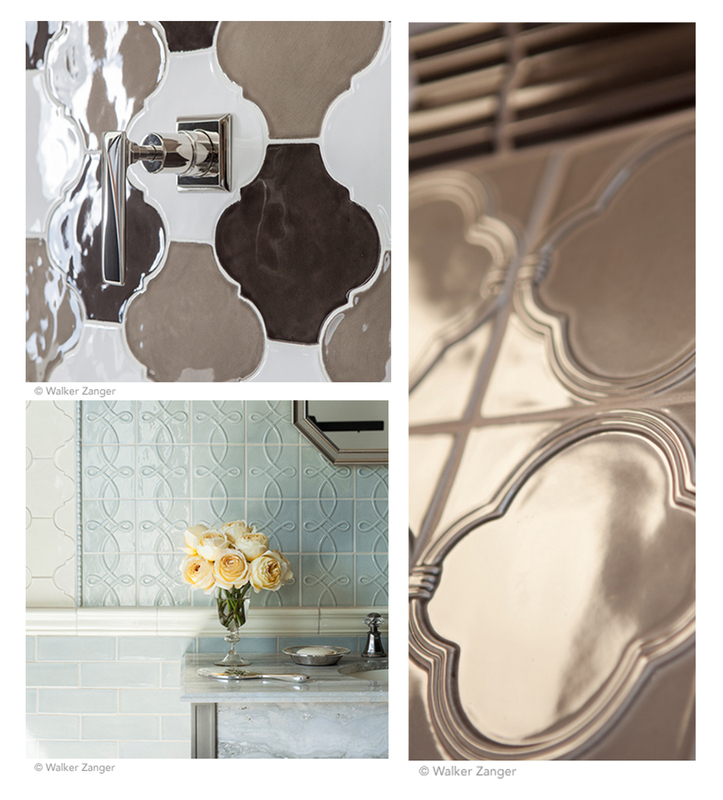 Use this tile as an accent, backsplash or even a unique feature wall. Metallic, reflective and totally cool. our passion and love for design shows through our work. cant seem to visualize your new space? we’ll help you with that. 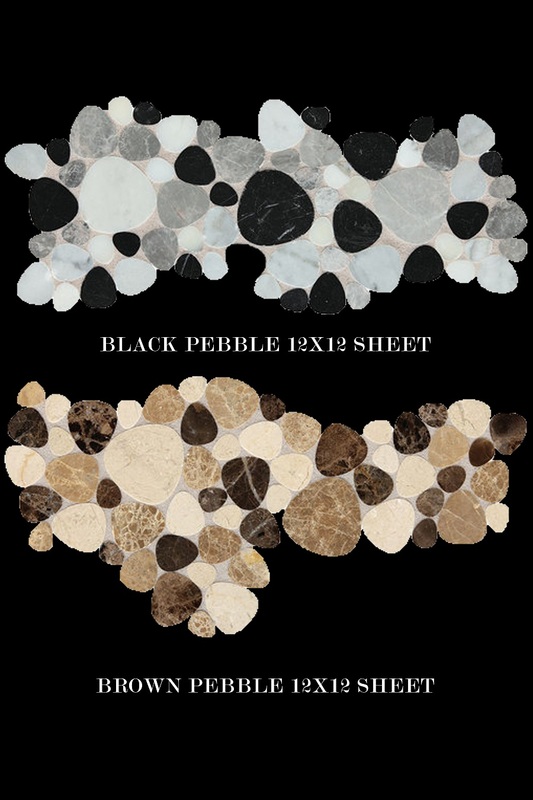 Mosaic traditions by Daltile are full square foot sheets of glass and natural stone mixes. They are inexpensive and add drama to any space. 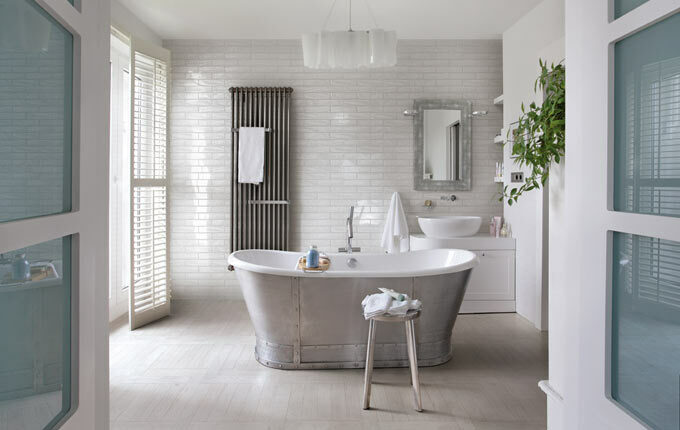 Whether you would be doing a kitchen backsplash, shower border or dramatic feature wall, these will cover it and keep your project down on costs. 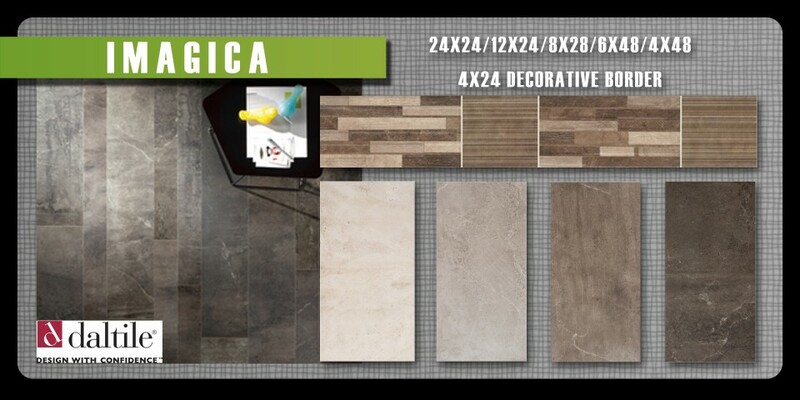 Imagica by Daltile combines sleek and contemporary design inspired by Metropolitan surroundings. 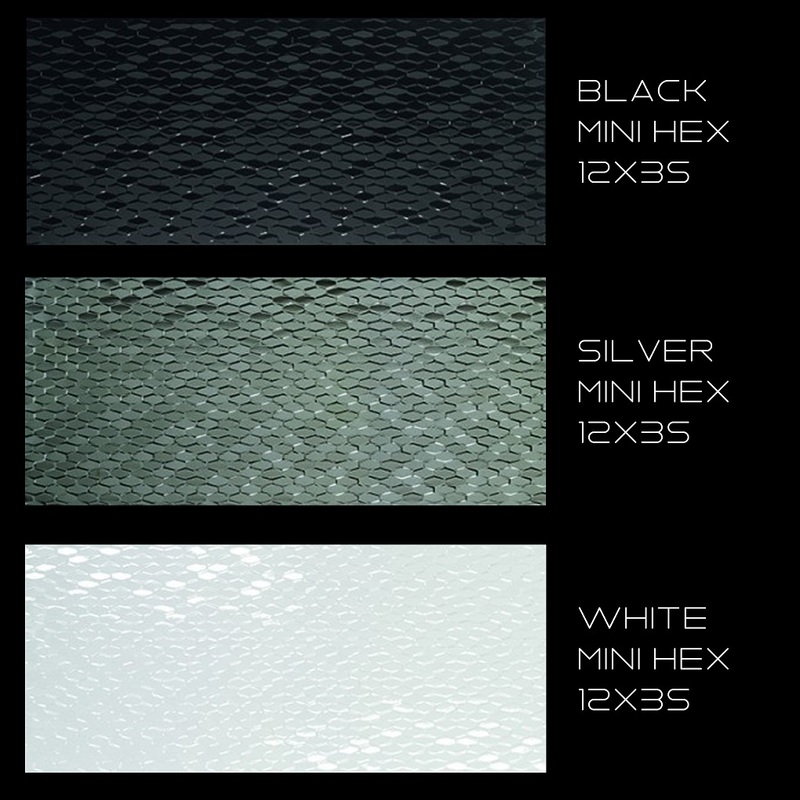 Slightly polished and metallic, these tiles scream sleek and modern and offer eight dramatically different sizes. 24×24, 12×24, 8×28, 6×48 and a 4×48. Also included in the series is a long and dramatic 4×24 decorative border. 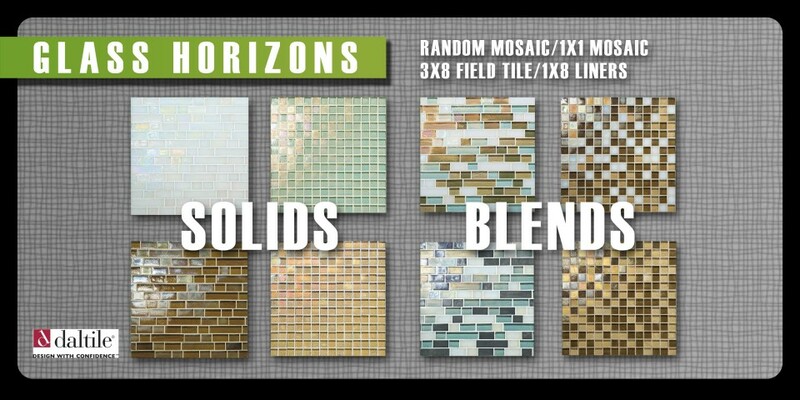 Endeavors by Daltile is a modern and streamline linear mosaic offered in eight colors: Tambura F157, Meditation F158, Spirit F159, Sitar F160, Mystic F161, Zen F162, Avant Garde F163 and Neo Classic F164. 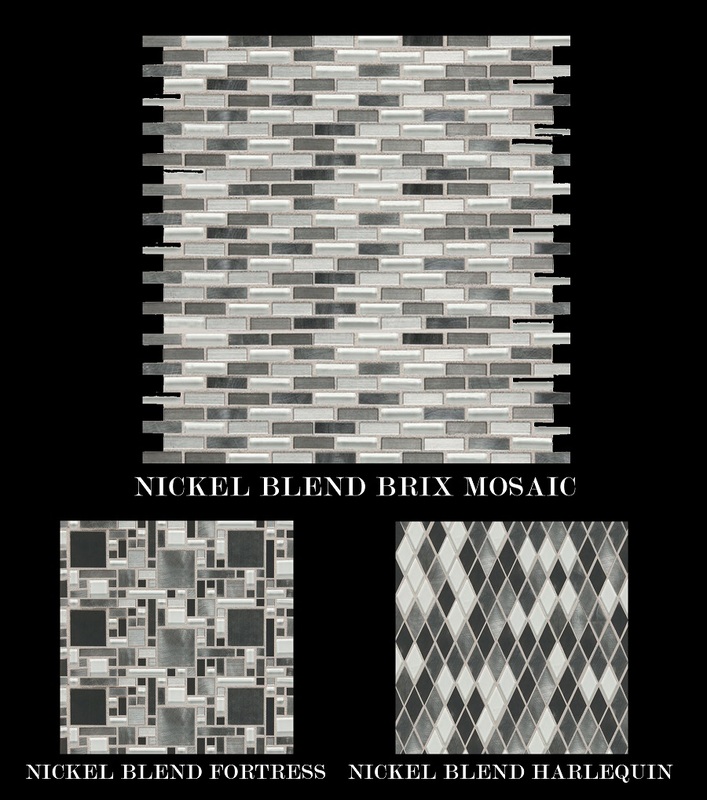 This mosaic combines stone and stainless steel in a fun and interesting way. 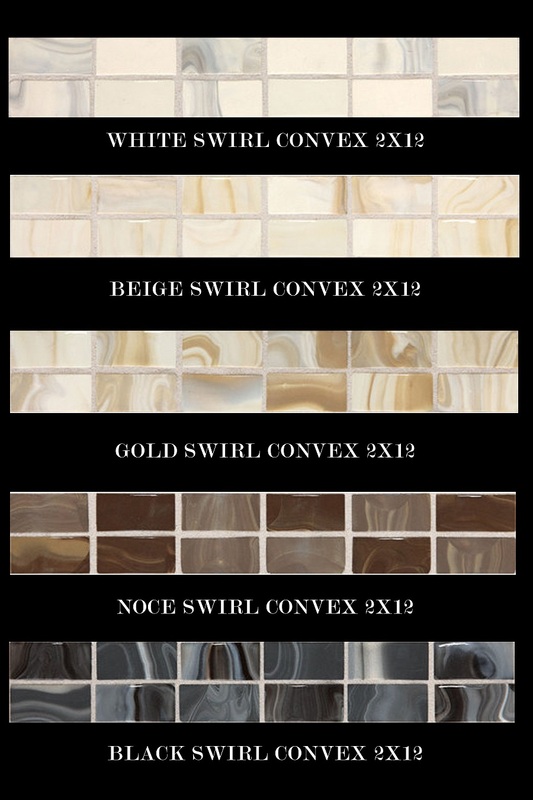 Use as a backsplash, shower or bathtub border design or implement it on an entire wall. This mosaic is so cool and unique! Inspired by major cities and popular getaways, this line is all about vibrant color and eye-catching design and glowing blends. 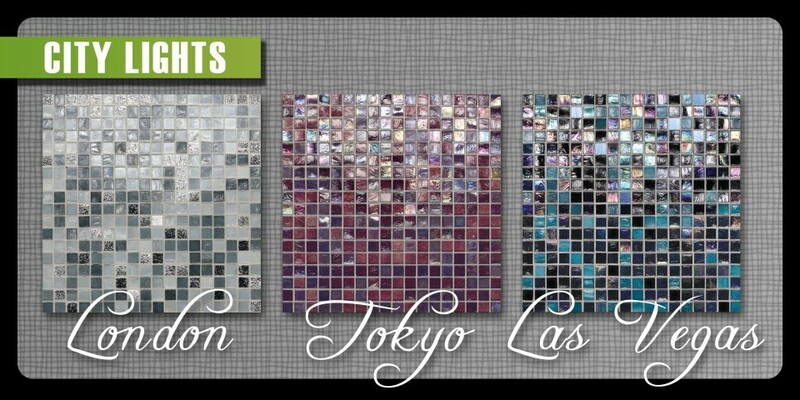 Let the shimmer and vibrancy of the City Lights Collection flood your home or commercial space with trance-like beauty. With sixteen color blends available you might have to see this stunning series in person. go ahead, relax & unwind with this calming series. Glass Horizons by Daltile will bring out your adventure side! They are inspired from the calming ocean and breathtaking sunsets seen around the world. 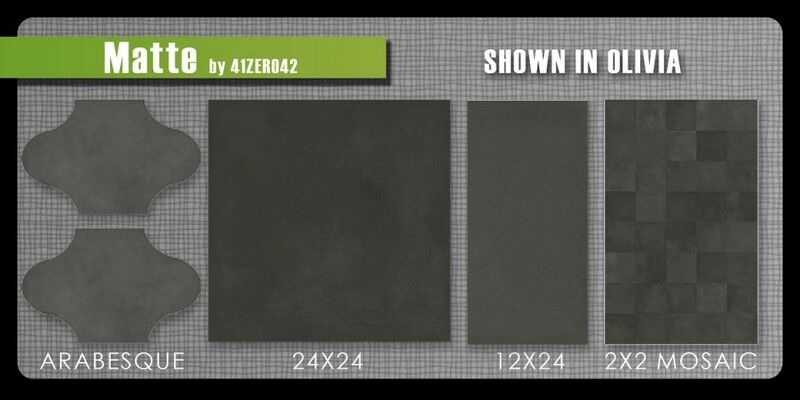 Available in solids or blends you can find a color that’s perfect for your space. Slightly iridescent and reflective this versatile liner comes in unique sizes and sculpted trims so you can create the look you desire.